The Leafie team is made up of a group of extraordinarily dedicated individuals who are passionate about improving the lives of all families and work incredibly hard to support the mission of the organisation. 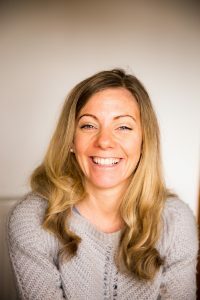 Claire has over a decade experience of designing and delivering food and wellbeing programmes with school, government, charity and business partners. She is highly motivated to tackle health inequalities through delivery of nutrition programmes that engage and empower communities. Claire has had the privilege of presenting at the Royal College of General Practitioners Public Health Collaboration Conference, as keynote speaker at the Matthew’s Friends Ketogenic Clinic and to the Midlands NHS Neurological Grand Round on applying diet therapies to manage health challenges. Justin has over 20 years expertise in developing and delivering wide ranging full stack IT e-commerce, web and integrative technical solutions across wide ranging charitable and private industries. Justin brings his IT and integrative learning platform expertise to Leafie, as well as his dedication to providing families with simple accessible support to empower them to provide the best for all children. Justin is incredibly proud to provide practical online learning and physical resources to support family’s improve everyday foods for better health. Leafie is governed by a Board, made up of members that give their time and expertise to benefit our social enterprise. Our members are from different backgrounds, but they have a common passion to improve outcomes for individuals, families and children through our delivery of diet education and support. Our Board help to ensure we make the best possible decisions in prioritising our work. Sophie Lee is a highly experienced specialist criminal barrister representing clients across the full spectrum of the law. She has extensive experience advising on all aspects of business and regulatory law and a particular specialism in representing young clients and those with Autism. Sophie has a strong interest in family health, nutrition and wellbeing and is an enthusiastic and effective member of the board. Ben is a national and EU ethics, human rights and security expert. He has dedicated his career to ensuring civil liberties for all. Ben kindly supports Leafie as a board member due to his personal interest in tackling health inequalities and in integrative medicine.